They say to do one thing a day that scares you, right? Well, this summer, I took myself out of my comfort zone to make my first ever TV debut – exciting times! I appeared on the pilot episode of iBody TV, a new online health and fitness talk show. iBody TV is the brainchild of Dean Miller, a Sheffield entrepreneur who spotted a gap in the market after visiting Bodypower at the Birmingham NEC in May. Within two months the idea was a reality, and we were on set filming the pilot episode – ft. a very nervous me! Being on the show itself was SO much fun – I was a little apprehensive having been asked. My knowledge on health and fitness is purely what I’ve gained through training, and the help and expertise of the people in the gym around me. I’m by no means an expert myself, but I know what works well for me, if that makes sense. I’ve touched upon my history with health and fitness before, but regular exercise is something that is really important for me to maintain. I’ve been training regularly since I was in sixth form, but I only really learned how to train “properly” (e.g get the best out of my workouts) in my final year at university, and this is something I’ve discussed on the show. I now weight train religiously 3x a week, and try to do some form of cardio once a week too (a far cry from earlier this year when I trained for, and ran The Great Manchester Run)! Dean explained that he was keen to have people on the show from all walks of life, to make for engaging, relatable viewing – honestly, I think the mix of people is one of the shows unique selling points. For me, watching fitness models and PTs talk about fitness gets boring, as I feel I can’t relate to them as a “normal” gym goer. For the pilot episode, sure there was a personal trainer, fitness model and boxer, but we also had an actress, accountant and of course me as a blogger – to name but a few. We spoke on topics such as how important is diet, does it affect your love life, workout myths and the impact social media has on your body image. My favourite topic of discussion had to be the latter. 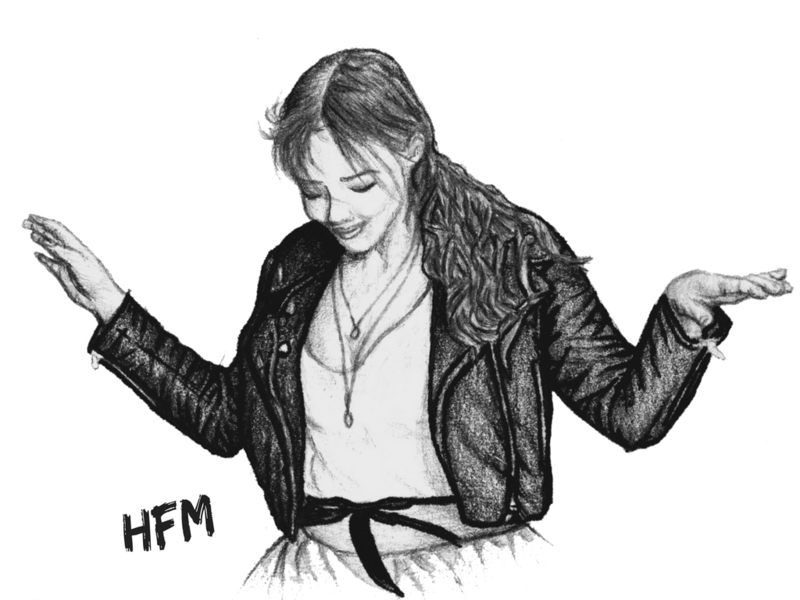 The impact of social media on our body image and self-esteem is something that so deeply embedded into our lives – not just for bloggers, but for every individual who regularly uses it. As I mentioned on the show, the fitness industry is built on insecurities. That’s why in my view, no one will ever achieve their “dream body”. By the time you get to where you wanted to be at the start of your health and fitness journey, your perceptions of the “dream body” have already changed, and you’re striving for something more. It’s a very dangerous cycle to be in, and the reason why even top level athletes such as Paige Hathaway and Devin Physique have been caught photoshopping their photos. In my view, it’s so important to try and keep a level head and remember that you are in trying to be the best version of YOU and not anyone else. For example, if you’re not born with curves like Beyonce, no amount of exercise will give you them (to a large degree). Nor will exercise give you a “thigh gap”, which is nothing to do with being thin, it’s simply the ratio of your hips – something you’re born with. I also met some truly lovely people, and came away with some great new ideas and perspectives on many different aspects of health and fitness. 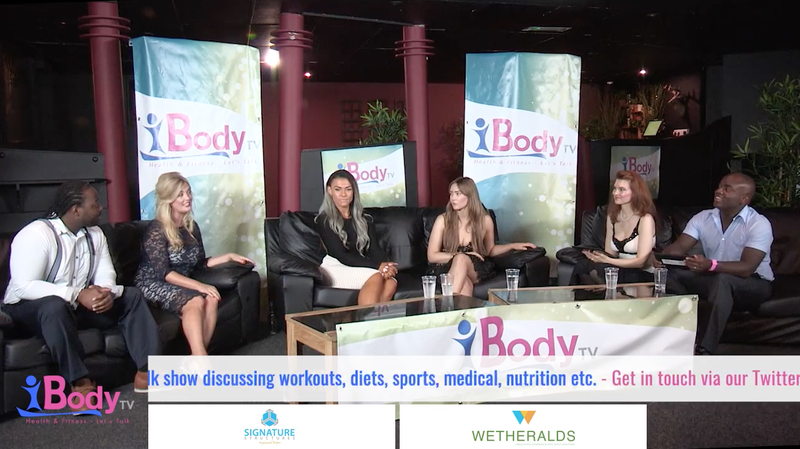 In my view, iBody TV is definitely one to watch – if you’ll pardon the pun! Since the initial launch, the show has had over 93k views which is absolutely incredible. The pilot episode of the health and fitness talk show is being released in short, segmented clips relating to each topic but you can see the episode on both Youtube and Facebook – the iBody team would love to hear your thoughts on the show, so make sure to leave a comment and give them a follow as well. I wouldn’t be surprised to see some famous faces on their in the future perhaps, too. Show your support on Twitter, Facebook and Instagram to see some of my health and fitness related ramblings, and to learn a few new things in the process. I sure did!